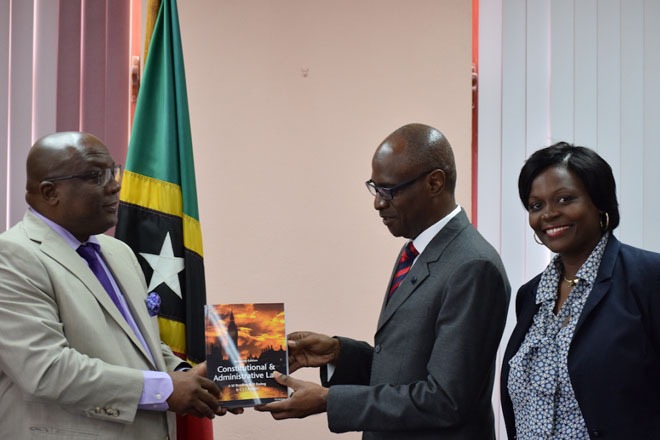 (PRESS SEC) — Prime Minister Dr. the Honourable Timothy Harris today, Wednesday, January 18th, 2017, received a courtesy call from His Lordship Justice Trevor Ward, QC, the resident High Court Judge in St. Kitts, and presented him with four law books for the use of the judiciary. The High Court Registrar, Mrs. Janine Harris-Lake, was present during the handing over of the law books. On Tuesday, August 30th, 2016, the Governor General, His Excellency Sir S. W. Tapley Seaton GCMG, CVO, QC, JP, administered the Oath of Allegiance and Oath of Office to His Lordship Justice Trevor Ward, QC, during a ceremony held at Government House. 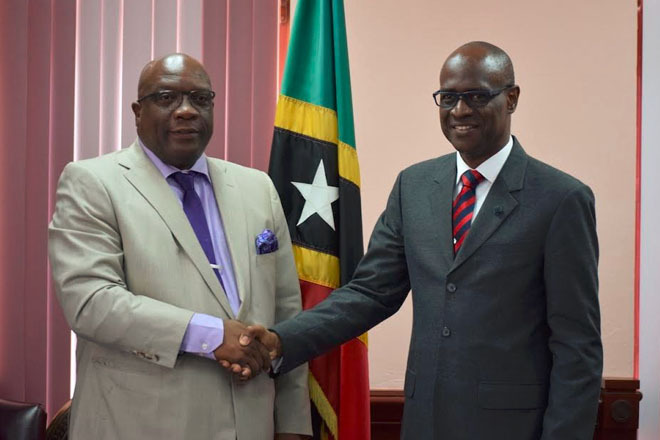 The Queen’s Counsel of Tobagonian descent recently worked for seven years in the Cayman Islands as Senior Crown Counsel and Director of Public Prosecutions, respectively.